Desirable waterfront condo has direct views of canal and dock and is minutes to inlet and ocean. This three bedroom home has loads of storage featuring walk-in closets in all bedrooms, huge space under the stairs, 3 outside storage closets and car port. Kitchen has had some updating with granite counter tops, newer tile floors and many cabinets. Outside living spaces are a patio off the living room and balcony off the master offering water views. Gated community has a club house, 2 pools, tennis courts and dock space for approximately $50 a month (check availability). 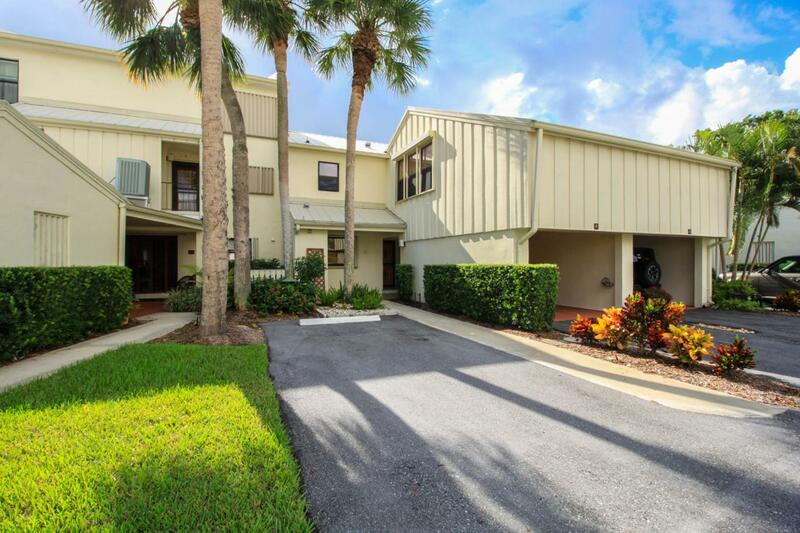 One small pet allowed, all ages welcome, and no pick-up trucks in Mariner Cay I. Association fees includes manned gate, insurance, cable, pools, tennis, club house, marina and private roads.